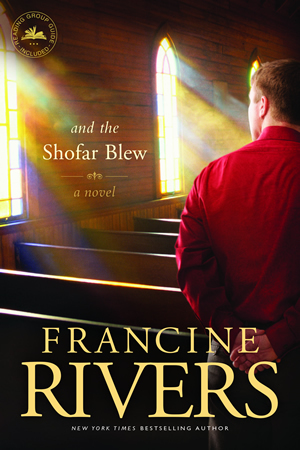 And The Shofar Blew is a work of fiction that teaches humility, patience, temperance and forgiveness. It centers on a church and the community in which it is situated. Stephen Decker. But her tenacity is admirable. Her strength of character is borne out when she, confronted with the fact that her husband was cheating with Sheila Atherton, is able to forgive him. Paul Hudson: Pastor of Centerville Christian Church. Dedicated firebrand who loves the work of God; a good husband and father- until he is called to pastor Centerville Christian Church. He does well initially, but his pride and pursuit of material things gets the better of him. His fall comes as a result of his trying to measure up to the perceived success of his televangelist-father. His involvement in some unsavory things is portrayed as resulting from this. Samuel Mason: One of the first three elders of the church, he brought Paul in to pastor the church. He’s a careful man, wise, prayerful, patient, and loves his wife Abby very much. He brings to light what “old-age romance” feels like. Also a persistent intercessor. Eunice Judson. He fights the lustful temptation, gets close to Samuel Mason, who helps him grow in the Christian faith. Falls out with Paul because of Paul’s changing values. Leaves Centerville and relocates to another town. Reunites with his daughter. Starts up a bible study, and eventually, a church. This book has helped me understand how important it is to talk to God, and wait patiently for his still, small voice. I’ve also gotten, through this book, some good strategies of how to curb some of my excessive appetites. Like when Stephen was faced with the urge to drink, he took a jog, sang, or prayed, just to distract his mind. He also rightly acknowledged that only Jesus could save him from his addiction- strategy was a mere demonstration of a will to be free, not the solution to addiction. Two characters in this book whose experience I would relate to are Stephen Decker and Paul Hudson. Stephen Decker, because of his ability to overcome his internal struggles, and Paul, because of his impatience and his ever present need to impress his father which he obviously did wrongly. The book’s description of Paul’s case rings out as a warning to the reader to not get caught up in pursuing so-called standards of accomplishment. What matters in the end is God’s opinion of us as individuals. My favourite quote from the book is a statement made by Samuel to Stephen at a picnic: “Growth in numbers is a blessing as long as spiritual growth and maturity comes along with it”. Pertinent words which should inspire, but sadly indicts much of Christendom today. This book speaks to a great number of people and the relevance of its themes makes it a good novel for church leaders, wives, mothers, fathers and people struggling with addiction, to read and learn from. WWF- The Name Of Jesus Christ!